You’ll find there are a number of Tinton Falls Condos for Sale. You’ll find number of Tinton Falls Condos for Sale in complexes with townhouses and condos. The condos have either one, two or three bedrooms. Some of the Tinton Falls condos have a loft, also there are some with a garage. When searching for a condo for sale in Tinton Falls, the most popular communities to choose from are Society Hill, Park Place, Park Place II, Park Place III and South Pointe. In addition, other popular complexes are Fox Chase, Hyde Park, Rose Glen, Winding Brook, Lenape Woods, Spring Meadows and Park View at Tinton Falls. Additionally, there are other, smaller complexes in Tinton Falls. Many of the Tinton Falls condos for sale are in complexes that are FHA Financing approved, as a result, you can purchase those homes with a low down payment.But there are other mortgage programs available to qualified buyers that will also allow you to purchase a home with a minimal down payment. In addition, here are the Active Adult Communities in Tinton Falls. The town has shopping and dining on Shrewsbury Ave and Route 35. The Monmouth County Library has a branch on Route 35. There is a factory outlet center in Tinton Falls, which has 120 stores and a food court. Also, one of the largest solar farms in the state in Tinton Falls. 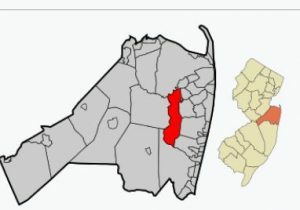 The 2010 Census say the population was 17,892 people, with 8,355 households in Tinton Falls, also the median household income in Tinton Falls was $78,894. 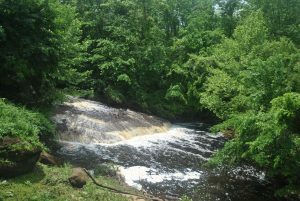 Tinton Falls has an area of more than 15 square miles. Students who live in Tinton Falls condos will attend the Tinton Falls School District which has three schools. When students enter high school they will attend Monmouth Regional High School.